Join us June 24-26 in Myrtle Beach, South Carolina, for the PFI Annual Conference! When reviewing my note from last week's Pellet Wire I noticed that I failed to mention that our board has authorized me to form a barbecue caucus within the organization to ensure that we support our members who are manufacturing pellets for this important market opportunity. I've been eyeing the momentum in the barbecue market for a number of years and the more I learn, the more I'm convinced that the excitement over grilling with a pellet appliance requires our serious attention and must be harnessed for the good of our members. While in Nashville I learned that it is very likely that yearly pellet grill appliances currently top 1,000,000 units sold. I'll allow that a grilling appliance uses a fraction of the wood pellets of a home heating appliance, even one used for supplemental heat, uses. Still, I got curious about the math and built this table. This table is my best effort to make sense of the volume demand created by barbecue appliance sales. Everything highlighted in green represents an appliance/usage combination that delivers the same or more pellet demand as 50,000 heating appliances using 2 tons per year. While we can talk back and forth about whether or not its likely that a consumer is likely to use 100 or more pounds of pellets a year in their grill, the simple fact is the demand for pellets generated by grilling appliances is real and may someday rival the demand created by heating appliances. What I find so interesting, and what I'm hopeful that the barbecue caucus members can help me think about, is how as an organization we can leverage the momentum in the barbecue category to move more heating appliances. I shared with the board that while I'm not a product marketing expert, I do know that the first priority is product awareness. Consumers can't be expected to purchase products with which they are unfamiliar. The momentum in the barbecue marketplace has without question raised the profile of wood pellets in the minds of consumers. That is beyond dispute. Every consumer that purchased a wood pellet grill last year now knows what our product looks like and where to find it. The question for the PFI and its newly formed barbecue caucus now is, "How can we take advantage of that?" We're building a collection of photos of our members, their pellets mills and product. Send them to Carrie Annand. Thanks to Lori Hamer with Hamer Pellet for the above photo. Register for the PFI Annual Conference by March 30th for a Chance to Win a Free Pellet Grill! It's not too early to register for the PFI Annual Conference taking place in Myrtle Beach, June 24-26! Hotel rooms are already filling up, so reserve your space today. As you may have heard, if you register by next Friday, you will be entered into a drawing for a FREE Louisiana Pellet Grill! The PFI Annual Conference highlights the various applications of densified biomass, as well as trends and best practices within the densified biomass industry. It attracts a broad range of individuals from the public and private sectors, academia, and local, state, and national governments from North America and beyond. The conference features two days of educational sessions as well as industry exhibits, extensive networking opportunities, and a golf tournament. The golf tournament is a great way to experience some friendly competition with your friends and colleagues in the industry while playing on a top-notch course. Surrounded by forests containing a vast source of renewable fuel with the potential to reduce greenhouse gas emissions, boost local economies and help maintain healthy forests, most homeowners instead rely on fuel oil-much of it imported-to meet their heating needs. Studies have shown that wood fuel could provide up to 30 percent of heating needs in some areas of the Northeast. However, wood currently meets just 1 percent of the region's home, commercial and institutional heating needs. "Our single biggest barrier to increased sales and increased market penetration for wood pellet heating is that people just don't understand that it's an option," says Andy Boutin, who founded Pellergy LLC in 2005, out of a desire to use wood rather than oil to heat his home. 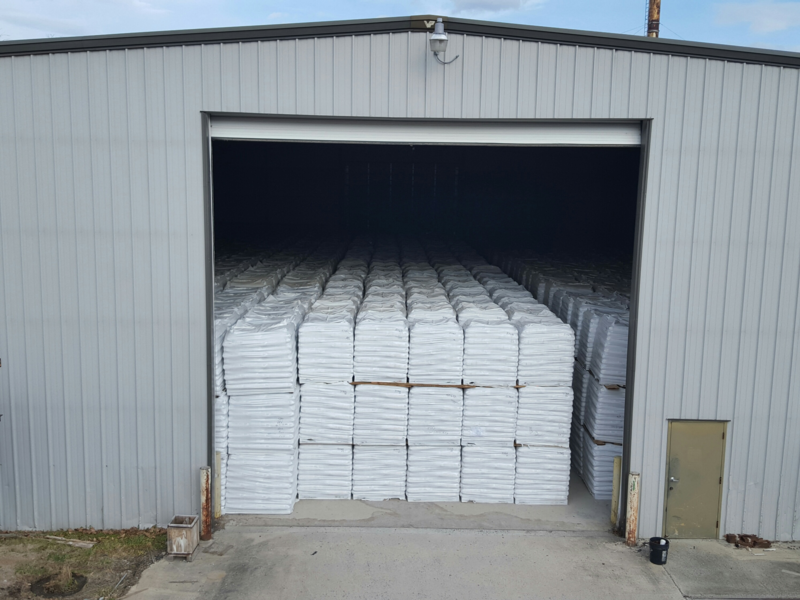 Located in Montpellier, Vermont, Pellergy sells residential, commercial and industrial wood pellet boilers and wood pellet storage and transportation systems. The problem, as Boutin explains it, has to do with how home heating systems are sold, and how homeowners perceive home heating in general. Although a heating system represents one of the largest purchases a homeowner will ever make, and can be in operation for seven or eight months of a year, most people are unaware that automated wood heat is an option. "Given that level of purchase, the understanding of what your options are and what is available is incredibly lacking," Boutin says. "Most of the purchase decisions are made by the plumbing and heating contractor that's servicing your equipment, or someone you've called because your equipment isn't working. On August 2017, a silo fire occurred at the Pacific BioEnergy (PacBio) 350,000-metric-ton-per-year pellet plant in Prince George, British Columbia. The tactics used to combat the fire resulted in a successful outcome, but this is in contrast to a long history of silo and dome fires resulting in the complete loss of the structures, major damage to surrounding infrastructure, and injury and loss of life. Smoke from smoldering wood pellets inside a PacBio silo containing 3,500 metric tons was first noticed on the evening of Aug. 23. Over seven days, the fire was controlled, extinguished, the silo was saved, and there were no injury or loss of life. Pellets worth over $500,000 were damaged, but millions of dollars of pellet plant infrastructure was not. Unfortunately, although the silo did not collapse and there were no explosions or fires that damaged the pellet mill or caused injury, the silo will be demolished because of uncertainty regarding its structural integrity. Credit for this successful outcome belongs to the Pacific BioEnergy management and operations team, and the first responders from the Prince George fire department, all of whom followed a carefully crafted plan for controlling and extinguishing the fire. PacBio CEO Don Steele, and Vice President of Operations Shawn Bells and his operations team, along with vital guidance and support from the author of this paper, John Swaan, applied industry best practices to their tactical planning. They thought carefully before they acted, and used information developed from years of experience. They proceeded carefully, but deliberately, with a primary objective of keeping everybody safe.